Think you are too busy to work out? Think you can’t afford a gym membership? 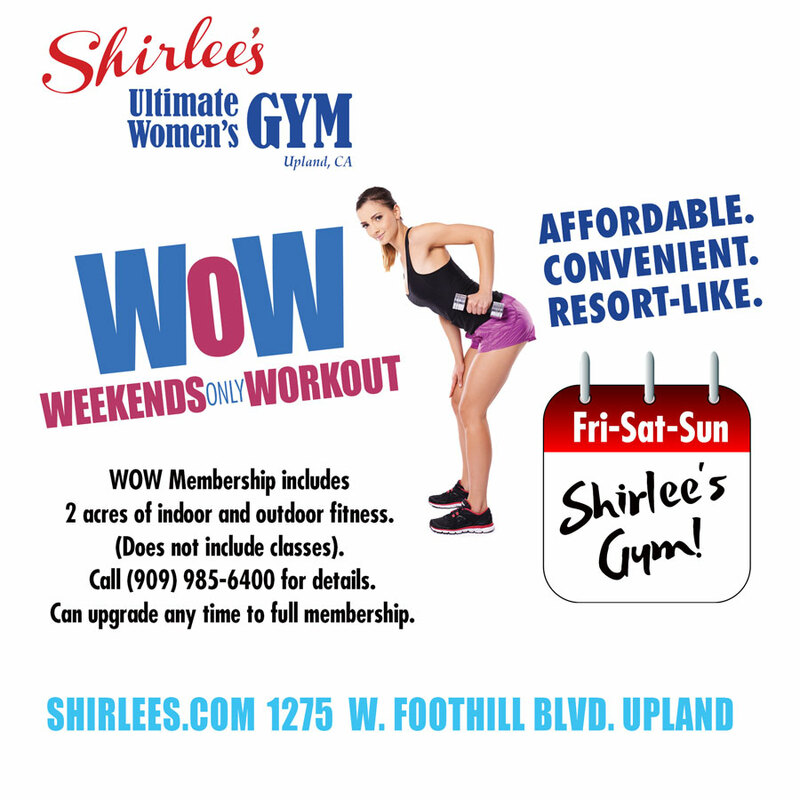 Shirlee’s announces a new membership that may be the answer: Weekends Only Workout (WOW). Our new WOW membership gives you full access to more than two acres of resort fitness all day on Friday, Saturday and Sunday. This is a great option for busy people or those wanting to stretch their gym dollars. Our WOW membership can be upgraded to a full membership at any time. Shirlee’s has several membership options to meet your fitness needs and your budget. Call or stop by the club for more details. This entry was posted in Membership Specials, News and tagged claremont gym, creativezazz, fitness, Shirlee's Gym Upland, Shirlees gym, things to do on weekend, upland gym, women;s gym, work out. Bookmark the permalink.